Your marketing fails (i.e. you make less in profit than you spent on your marketing expenses). You have no idea if your marketing was a success or failure because you don’t measure the results. If your marketing consistently fails and loses you money then STOP and change what you’re doing. If you don’t measure your marketing results that’s just plain stupid because with the technology we have readily and cheaply available, it’s easier than ever to track your marketing results and return on investment (ROI). If your marketing is working and consistently giving you a positive ROI, then you should crank it up and throw as much money as you can at it. One of the craziest things I see small business owners doing is setting a “marketing budget”. By setting a marketing budget you are implying that either your marketing isn’t working and hence it’s a pure expense (i.e. a waste of money). Or you have no idea if it’s working because you don’t measure the results and so you throw money at it in the hope that it’s giving you some sort of positive result. If it’s the former then of course you need to set a budget because you can’t have expenses running wild in your business. But a good question might be – why are you wasting money on marketing that isn’t working? If it’s the latter then you need to change things pronto. You wouldn’t hire an employee and not measure their productivity, so why on earth would you consistently pay for marketing and not know what result it’s generating? 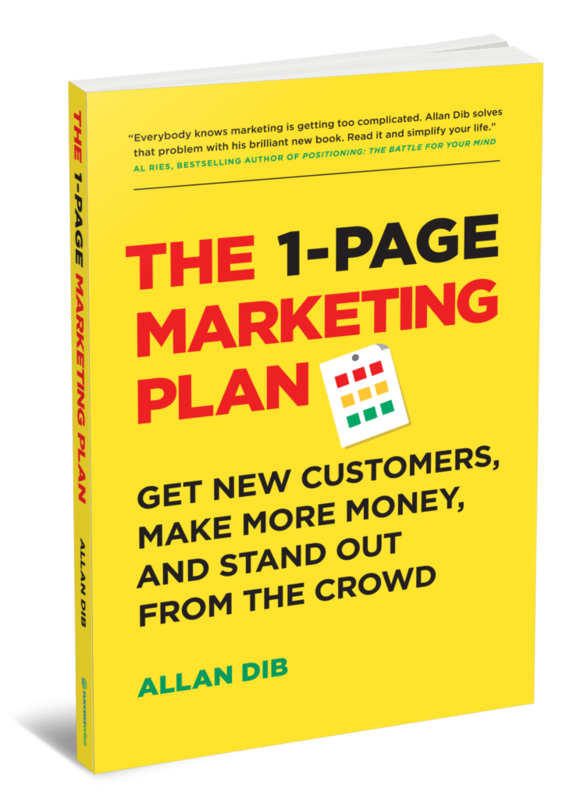 If you’re marketing is working (i.e. giving you a positive return on investment) why on earth would you limit it with a budget? It’s like having a legal money printing press. This scenario is called money at a discount. If I was selling $100 bills for $80, wouldn’t you buy as many as you could possibly get your hot little hands on? Or would you say, “sorry my budget for discounted $100 bills this month is only $800, I’ll just take ten please”. That’s why I always say, I have an unlimited budget for marketing that works. And you should too. One argument I hear against this is concern about being able to handle the demand. Firstly that’s a great problem to have. Secondly, if you’re truly receiving more demand than you can fill, this is the perfect opportunity to raise your prices. This will instantly boost your margins and bring you a better quality of client. The only time to set a marketing budget is when you’re in the testing phase. In the testing phase I advocate that you fail often and fail cheap until you have a winner. Test your headline, your offer, your ad positioning and other variables. Then cut the losers and optimize the winners until you finally have a combination that gives you the best possible return on investment. Remember the post office charges you the same amount to post a crappy direct mail piece that bombs as they do a high converting direct mail piece that pulls in millions. Once you have a winner that pulls in more than it costs you, crank up the marketing spend and hence the speed of your legal money printing press! This is very helpful and profoundly enlightening. However, I would like to get more ideas on how to market an early childhood school in a difficult economic state of an environment. A helpful response will be highly appreciated.